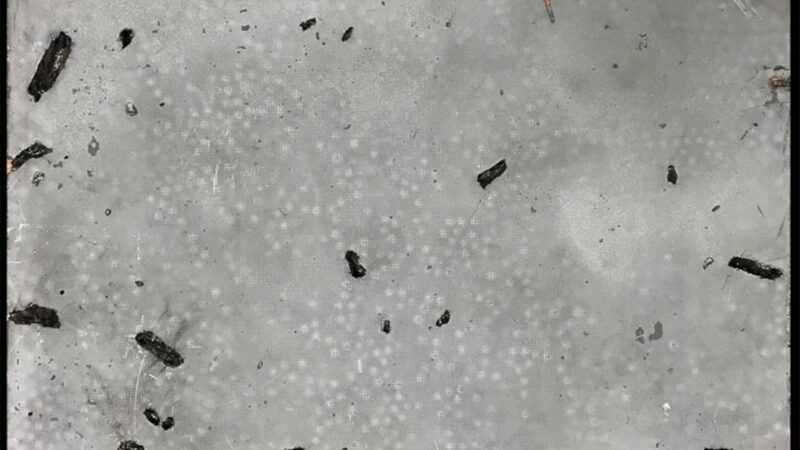 New research from North Carolina State University and the U.S. Army’s Aviation Applied Technology Directorate shows that stainless steel composite metal foam (CMF) can block blast pressure and fragmentation at 5,000 feet per second from high explosive incendiary (HEI) rounds that detonate only 18 inches away. 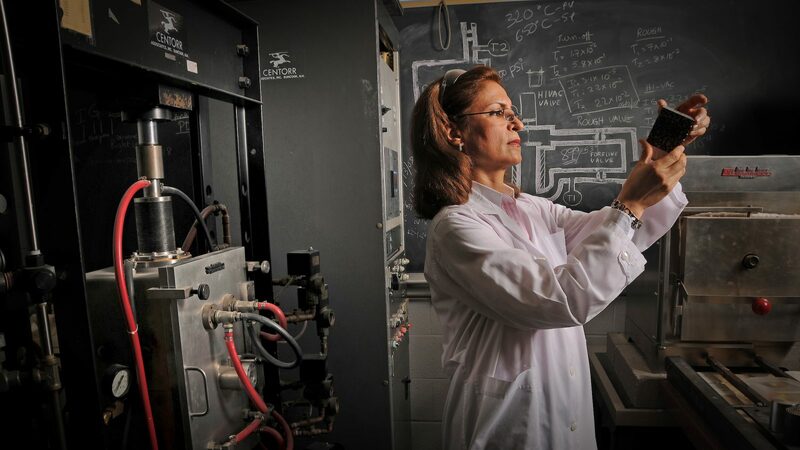 “In short, we found that steel-CMF offers much more protection than all other existing armor materials while lowering the weight remarkably,” says Afsaneh Rabiei, senior author of a paper on the work and a professor of mechanical and aerospace engineering at NC State. “We can provide as much protection as existing steel armor at a fraction of the weight – or provide much more protection at the same weight. For this study, researchers fired a 23×152 millimeter (mm) HEI round – often used in anti-aircraft weapons – into an aluminum strikeplate that was 2.3 mm thick. 10-inch by 10-inch steel-CMF plates – either 9.5 mm or 16.75 mm thick – were placed 18 inches from the aluminum strikeplate. The researchers assessed that the steel-CMF held up against the wave of blast pressure and against the copper and steel fragments created by the exploding round, as well as aluminum from the strikeplate. The researchers also developed computer models of how the steel-CMF plate would perform. When compared to the experimental results, the model matched very closely. The researchers then used the model to predict how aluminum 5083 armor – a type of armor already on the market that has a similar weight and thickness to the 16.75 mm steel-CMF – would perform against HEI rounds. The model showed that, while aluminum armor of similar weight to the steel-CMF panels would stop all of the frags, the aluminum armor would buckle and allow fragments to penetrate much deeper. This would result in more damage to the panel, transferring large amounts of stress to the soldiers or equipment behind the armor. The steel-CMF, on the other hand, absorbs the energy of the blast wave and flying fragments through local deformation of hollow spheres, leaving the steel-CMF armor under considerably less stress – offering more protection against fragments and blast waves. Next steps include testing the steel-CMF against improvised explosive devices (IEDs) and high-caliber, mounted ballistics. The researchers have already tested the CMF’s performance against hand-held assault weapons, radiation and extreme heat. The paper, “A study on blast and fragment resistance of composite metal foams through experimental and modeling approaches,” is published in the Journal of Composite Structures. Lead author of the study is Jacob Marx, a Ph.D. student at NC State. The paper was co-authored by Marc Portanova of the Aviation Applied Technology Directorate. The work was done with funding from the Department of Defense’s Joint Aircraft Survivability Program under grant number JASPO-V-15-03-001. Abstract: Composite metal foam (CMF) is known for its high strength to density ratio and extraordinary energy absorption capabilities. In this study, stainless steel CMF panels are manufactured and tested against high explosive incendiary (HEI) rounds to study their resistance against explosive blast pressure and the resulting fragments. It is shown that the CMF panels were able to stop the imparted fragments of various sizes, with speeds up to 1500 m/s, and absorb the blast energy without cracking or bowing. The experimental findings were verified using IMPETUS Afea Solver and compared to the performance of a conventional aluminum armor. It is observed that despite their similar mass, the depth of penetration of the fragments into the aluminum plate is higher than that of the CMF panel. Significant front petaling and bulging is observed in aluminum plate following impact of the blast and frags. No petaling and minimal bulging is observed in all CMF panels. In addition, CMF panels are far less stressed when compared to the aluminum plate at any interval following the blast. The experimental and analytical results are proving that novel CMF material can be the solution for the pressing need for light-weight and more efficient vehicular armors.